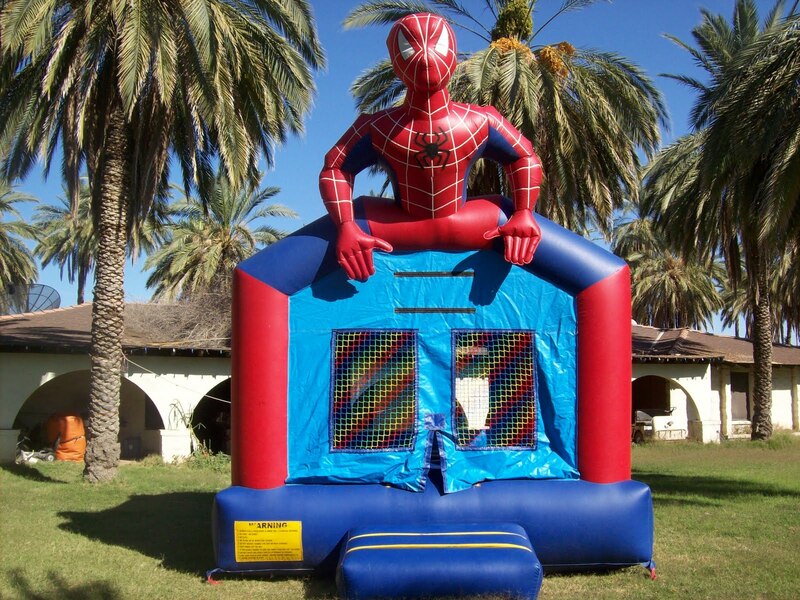 But, regardless of the legal aspect of this, why would you want to bounce between Spider-Man's weirdly out of shape legs? 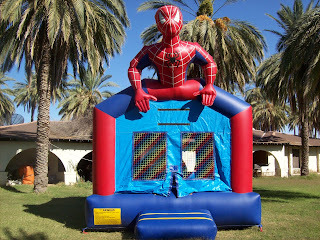 Wouldn't it make more sense to make the thing look like buildings and skyscrapers with a couple of life-size Spider-Man images plastered on it, so that kids could pretend they're web-swinging with/like Spidey? But what do I know from marketing to kids? All children must wear Mary Jane's to play in this area.